My passions have been “babies” children & animals. 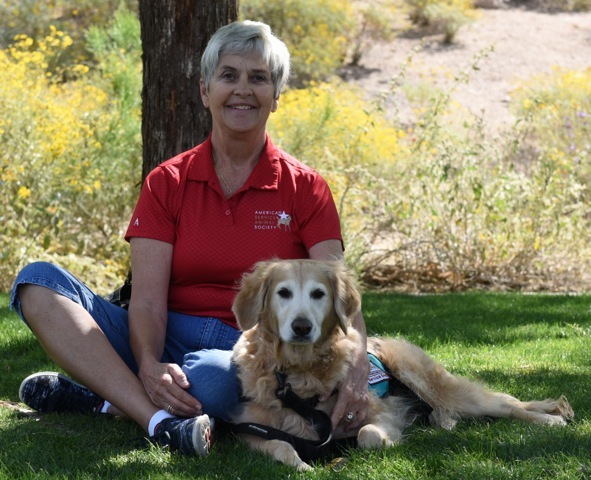 After retiring from teaching, I had the opportunity to meet Debbie & become part of American Service Animal Society as a trainer. Training with ASAS is very rewarding, heartwarming & is a pleasure to be a part of. I am an Indiana Hoosier! I am married & have three wonderful grown children. I have two precious dogs, Molly & Bayle. Some of my hobbies include golf, Pickleball, reading & puzzles. Pat earned her certification from Animal Behavior College.